Most of the music available as hi-res downloads is what young folk might call “old man music”. A quick flick through HDTracks‘ hi-res catalogue and you’d see ‘yoof’ flippancy isn’t unjustified. U2’s Achtung Baby is now twenty years old but – along with Nevermind’s release at 24bit and Bjork’s Biophillia getting similar treatment – it shows that the hi-res waters are slowly seeping through more contemporary/mainstream walls. 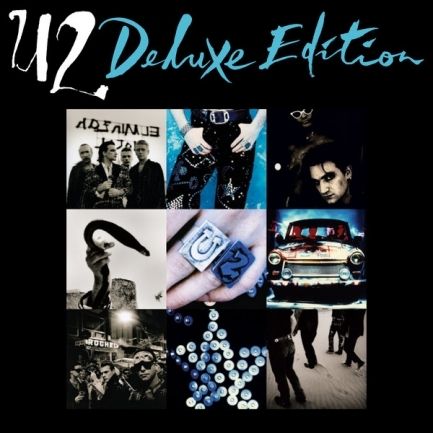 HDTracks is offering the 2CD Deluxe Edition of U2’s second best album – Zooropa being numero uno – in 24/44.1. That’s a remastered Achtung Baby plus a smattering of b-sides and remixes all for a little over twenty bucks. (The single CD version is also up for grabs for US$13.98). Any thoughts from folks who’ve compared the HDTracks download to the recently remastered CD? I’ve heard and am not impressed by the second disc’s B-sides so comparing 16-bit apples to 24-bit apples, what are your thoughts?